I haven’t done much paddling with the Greenville Canoe and Kayak Meetup lately. Since they merged with the Asheville organization the group seems to have lost its identity, having been subsumed into that group, and many of the trips just didn’t appeal to me. However, one scheduled for this past Saturday really caught me eye, and I decided to give it a chance. 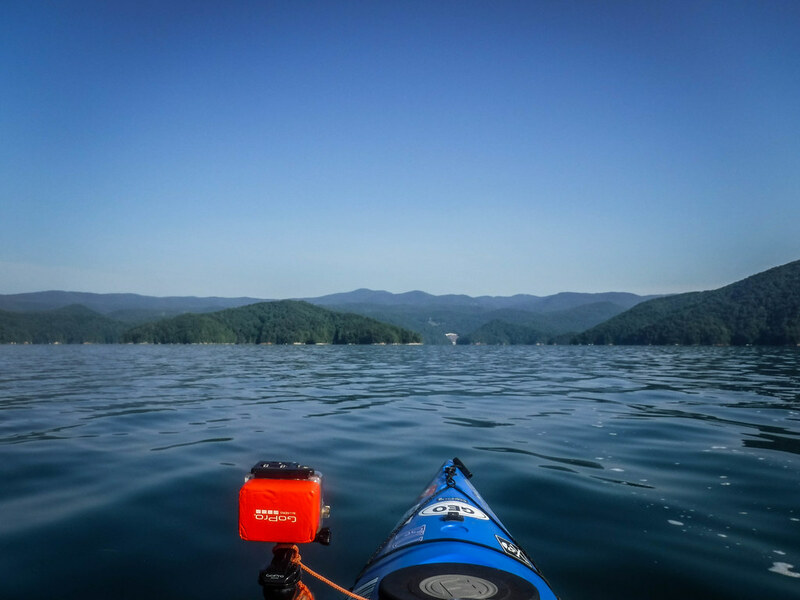 It turned out to be a perfect day paddling on Lake Jocassee, and I’m now glad I gave them a shot. My brother, Houston, recently informed me that he starts feeling anxious when I don’t update this blog often enough. I’m afraid I’ve given him ample reason to be irritated over the last week or so. I just haven’t had much about which to write. The usual excuses apply – work has been nightmarish, Laura’s sister and mother have been visiting, and a massive heat wave have combined to keep me away from any explorations this week. OK, so maybe those aren’t so usual.